A recent survey conducted by Guide Dogs Australia revealed almost half of all people who use a white cane were bumped into at least once every time they are out, with almost 60% of respondents reporting the instances were caused by people engrossed in their mobile devices. Almost half of all people who use a cane had also been knocked over, injured or had their cane broken by someone walking into them in the last two years. Guide Dogs Australia is launching the Eyes Up campaign ahead of International White Cane Day on 15 October, calling on members of the community to look up from their mobile devices when they’re walking to help those who are blind or vision impaired stay safe. 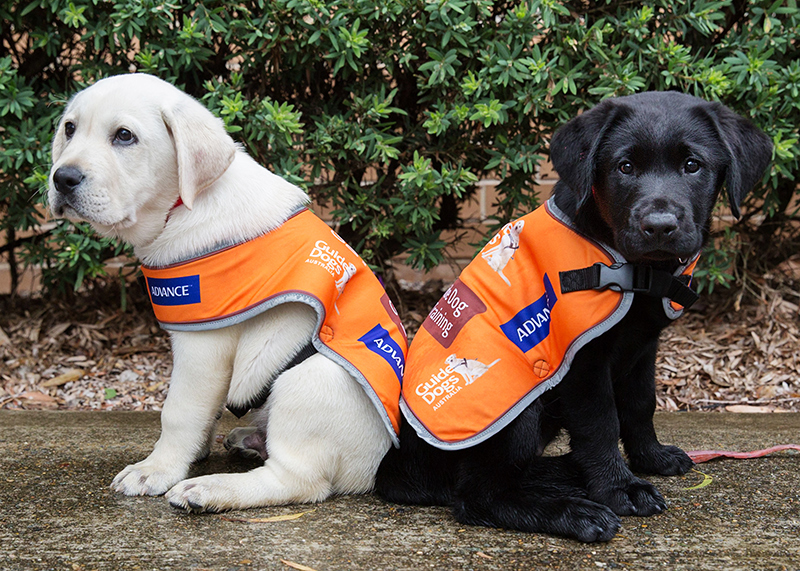 Guide Dogs NSW/ACT Community Education & Access Advisor Jennifer Moon said something very commonplace poses a major danger for people who are blind or vision impaired every day. “Our specialists work with people who use a white cane across Australia to teach them the skills they need to get around their communities safely and independently, but unfortunately there are certain environmental factors, like moving people, that they often can’t identify until it’s too late,” Ms Moon said. “Sometimes running into someone can be a shock but other times it can be very harmful, upsetting and disorienting for the person with vision loss, particularly when it results in an injury or a broken cane. “A white cane enables a person with vision loss to move freely and detect if there are any potential dangers in front of them. If their cane gets broken, they lose the ability to judge what’s ahead. “The most common cause for these situations, when it can be identified, is that the other person was on their mobile phone and not paying attention to where they were walking. Northern Beaches resident James Pittar, who is blind and works in the Sydney CBD, finds he is often on-edge when he walks around the city with his white cane. “My cane enables me to do things independently, like travel to and from work, but the biggest obstacle I face is people not looking where they’re going. Guide Dogs NSW/ACT Community Education & Access Advisor Jennifer Moon said taking small actions while using your mobile device can make a big difference to help reduce the danger to those who are blind or vision impaired. “We all have a role to play in helping to make sure people who are blind or vision impaired can get around their communities safely and confidently, just like everyone else,” Ms Moon said. “In this case it can be as easy as waiting until you reach your destination to check your mobile device, or using more caution by slowing your pace and looking up often if you have to use your device while walking.